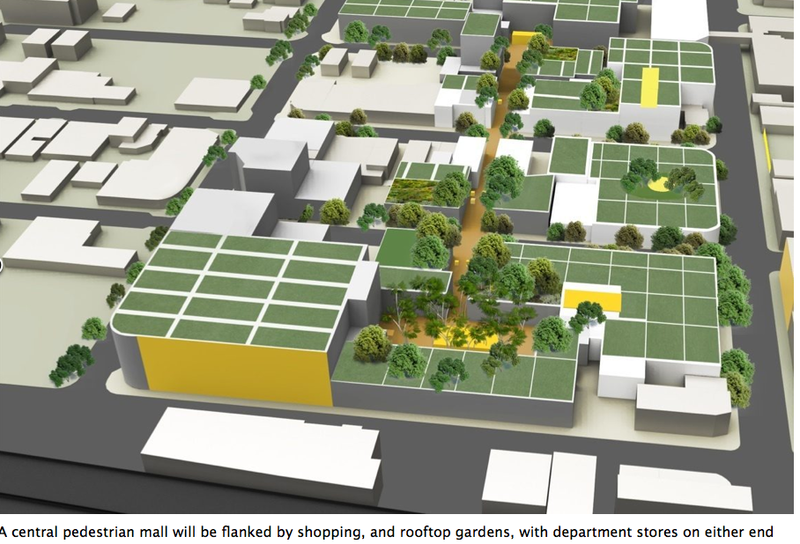 Written by Felipe Azenha & filed in Commercial, Retail, Urbanism. Last week Metro 1 Properties announced they had closed on $50 million in sales and leased an additional 300,000 sq ft in Wynwood/Midtown/Design District during the past 6 months. 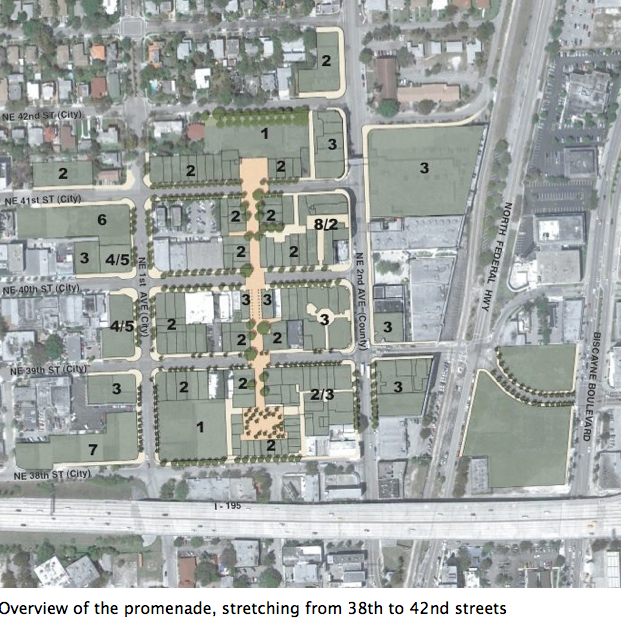 In June, developer Craig Robins announced that his company DACRA would invest $312 million in the Design District. With Craig Robins’ announcement came the promise that several luxury retailers would move to the all but forgotten Design District. LVMH will bring 12 of the company’s brands to the Design District including Louis Vuitton, Christian Dior, Fendi, Bulgari, Pucci, De Beers, Celine and Marc by Marc Jacobs. In addition Cartier, Hermes, Zegna, Tom Ford and Burberry have also made a commitment to open stores in the Design District. In total the DACRA redevelopment plan includes 540,000 square feet of new construction. The cornerstone use of this project will be the retail component with a 30-foot-wide pedestrian mall that would run north and south from 38th to 42nd streets. Duany Plater-Zyberk has been retained as the architects for DACRA’s development, so we can expect a pedestrian-friendly design. Aside from the retail component, there will be a hotel and residential piece that will add much needed density to the area. If the Floridas come to Miami, does that mean Miami is ready to take its place in the creative economy alongside San Francisco, Boston, Seattle and Washington, D.C.? What’s happening in Miami illustrates a key corollary of the creative-class theory, Florida says: The creatives who drive today’s economy — now about a third of the U.S. workforce — seek out cool places. That means walkable neighborhoods with distinctive architecture, a diverse population, a vibrant street and cultural life and amenities like cafes, bars, parks and bike lanes. As the creatives rub shoulders, they generate new ideas and enterprises that propel economic growth and attract even more talented, creative people. Florida, a hyper-productive writer, prolific public speaker and senior editor at The Atlantic magazine (whose fast-growing Atlantic Cities website he helped launch), drives home one central point: Manufacturing and the working class have been supplanted as the nation’s principal source of prosperity by the creative class and the knowledge-based economy, and cities with the right environment enjoy a huge competitive edge. Pretty exciting times for the Magic City. Get local updates and latest news delivered to your email!